Home Precision Medicine Research Are Genomic Databases Racially Biased? 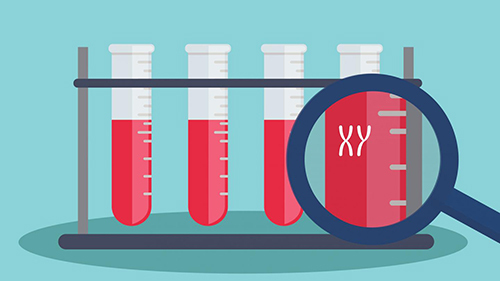 Are Genomic Databases Racially Biased? Investigators at the University of Michigan Medical School recently set out to determine the level of racial disparity among genomic samples sequenced within databases such as The Cancer Genome Atlas (TCGA) as the representation of ethnic minorities for sequencing efforts is vague, and could have a huge impact on health care disparities. Reporting recently in JAMA Oncology through an article entitled “Racial/Ethnic Disparities in Genomic Sequencing,” the scientists reviewed individual patient data from TCGA, equating to 10 of the 31 currently available tumor types, comprising 5,729 samples of the approximately 11,000 available. As scientists learn more about which genetic mutations are driving different types of cancer, they're targeting treatments to small numbers of patients with the potential for big payoffs in improved outcomes. Yet, even as we learn more about these driver mutations, this new study would suggest the science might be leaving racial and ethnic minorities behind. Of the 10 different cancer types that were somewhat racially diverse, about 12 percent of samples were from African-Americans—matching the U.S. population. However, Only 3 percent were Asian, slightly lower than 5 percent of the overall population, and only 3 percent were Hispanic, much less than 16 percent of the overall population. Moreover, when the researchers looked at the actual number of tumor samples from minorities, out of 5,729 samples, 660 were African-American, 173 were Asian, and 149 were Hispanic, compared with 4,389 from white patients. The scientists analyzed these numbers and determined that there were not enough samples from any minority group to identify a mutation that would occur in 5 percent of those patients. On the other hand, there were enough examples of nearly every tumor type to detect a mutation occurring in 5 percent of white patients. One issue that fuels this racial disparity among sequences is the ability to eliminate background noise from sequencing sample. This is only achieved through large sample size as researchers can't pick out the dangerous mutations from the background noise without a statistically significant number of samples. In many cases, a DNA mutation impacts only a small percentage of patients. For instance, only three percent of lung cancer patients have alterations in the ALK gene. However, multiple FDA-approved drugs are targeted to improve survival in these particular patients. Yet new data is emerging that demonstrate how cancer behaves differently in different racial and ethnic groups. Moreover, it's also known that certain cancer types are more common or more aggressive among certain races. For one example, about 50 percent of Asians with lung cancer have a mutation in EGFR and studies have shown that the drug gefitinib is effective only in patients with an EGFR mutation. The findings from this new study have led the authors to suggest that more collaborative efforts including industry, government, and academia are necessary to collect larger numbers of tumor samples from diverse racial and ethnic groups. As precision medicine becomes increasingly important in cancer treatment, identifying mutations will allow researchers to target and adjust clinical trials.